The country, two-thirds the size of Wales is a treasure trove of natural beauty, where ancient towns cling to rock walls and conifers, wild herbs and blossoms flourish in the Mediterranean climate. In the northwest lies the Tara River Canyon, the world's second deepest and a UNESCO Biosphere Reserve. 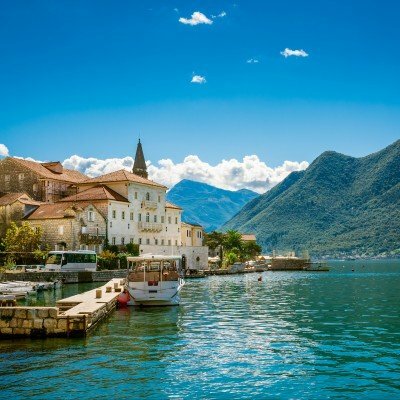 Meanwhile in the south, the Dalmatian Coast is home to Venetian towns such as Perast, with its 18 churches, and Kotor; listed by UNESCO for the walled old town with its maze of narrow streets. From the rugged peaks and mountain lakes of the Durmitor National Park to the warm shores of the Adriatic where mountains jut dramatically from crystal waters, Montenegro is a true Balkan gem.